Pavlos Moraitis (LIPADE-Paris Descartes University) ran a seminar on January 24th, 2019 at IRT SystemX, at Nano-Innov, on the following topic « On the Use of Computational Argumentation for Real World Applications ». Pavlos Moraitis is Professor of Computer Science at Paris Descartes University, head of the “Distributed Artificial Intelligence” group and director of the Distributed Artificial Intelligence (DAI) Master degree. He has been director of the Laboratory of Informatics Paris Descartes (LIPADE) for the period 2009-2019. His academic degrees include a Diploma in Engineering from the National Technical University of Athens, Greece (or National Metsovion Polytechnic), a M.Sc. in Computer Science, a Ph.D. in Artificial Intelligence and an Habilitation à Diriger des Recherches in Artificial Intelligence, all from the Paris Dauphine University. Before starting his academic career he held a consulting engineer position with Capgemini, a leading software advisory company. 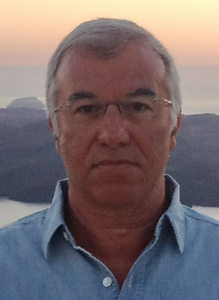 Since 2001 he collaborates with SingularLogic S.A. (Greece) as scientific advisor in projects related to agent-based computing. He was also scientific responsible of the work involving agent technology in several European and industrial projects. His research activity concerns both theoretical and applied research in the field of Artificial Intelligence and more particularly in the area of Autonomous Agents and Multi-Agent Systems. His main research interests include: computational argumentation, automated negotiation, automated decision-making, multi-agent planning, agent oriented software engineering. He has published over than 120 technical papers in international refereed conferences and journals in the above area including prestigious ones like AAAI, KR, ECAI, AAMAS, AGENTS, ICMAS, IEEE Intelligent Systems, JAAMAS, etc. Pavlos Moraitis has been an elected member of the Board of Directors of the European Association for Multi-Agent Systems (EURAMAS) (2012-2018). He is co-founder and member of the Steering Committee of the International Workshop Series on “Argumentation in Multi-Agent Systems” and was co-chair of the 1st, 2nd, 5th and 12th edition of this Workshop. He has also been involved in the organization of other main international conferences in the area of autonomous agents and multi-agent systems (e.g. as general chair and co-organizer of the 8th European Conference on Multi-Agent Systems (EUMAS’10) and finance chair of the 13th International Conference on Autonomous Agents and Multi-Agent Systems (AAMAS’14)).